These ugly-makers courtesy of Tommy Hilfiger are just right for the man who's been dreaming of disguising himself as a picnic table cloth or Elmo. A perfect example of how 'designer' labels are no guarantee of looking good. I cannot envision a single man whose physique and coloring would be flattered by these. 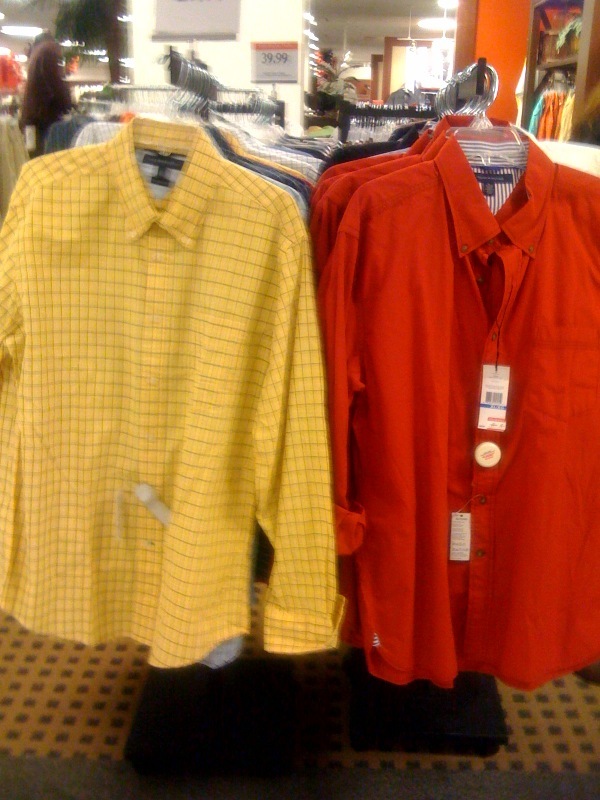 So, to the design team over at Tommy headquarters, I have a only one plea - for the good of mankind, please stop primary color abuse. Ask Emmi - Fleece that doesn't pill?